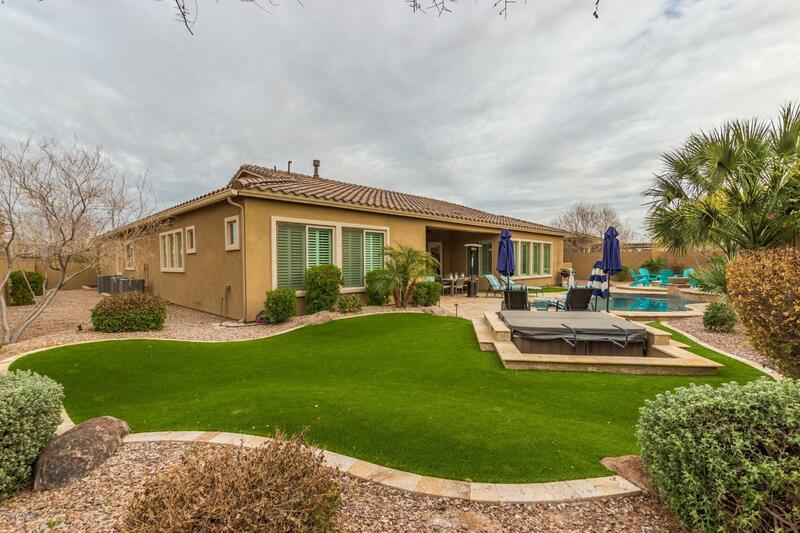 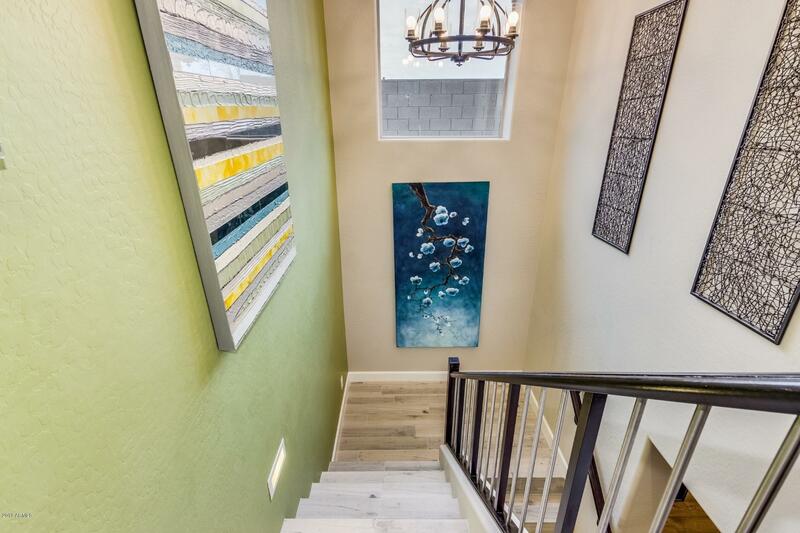 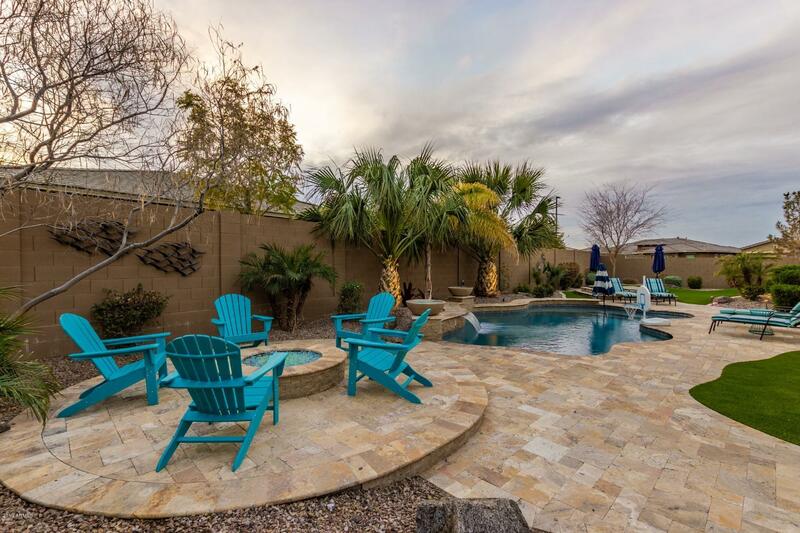 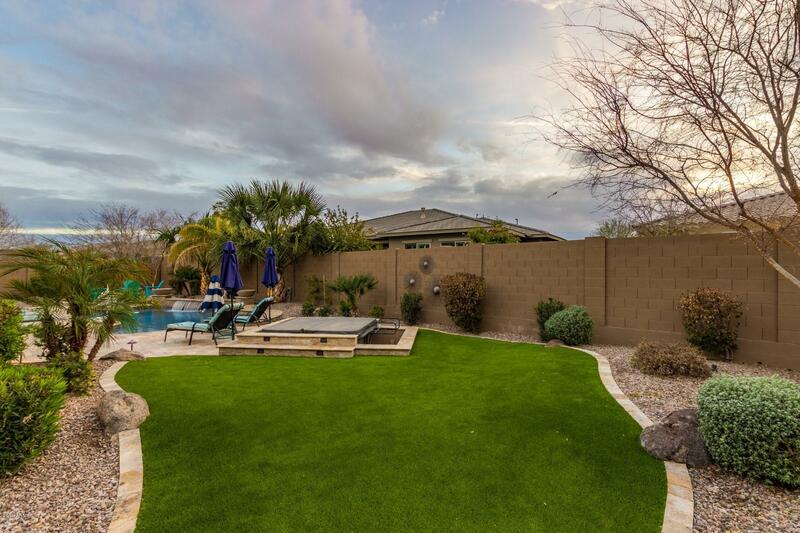 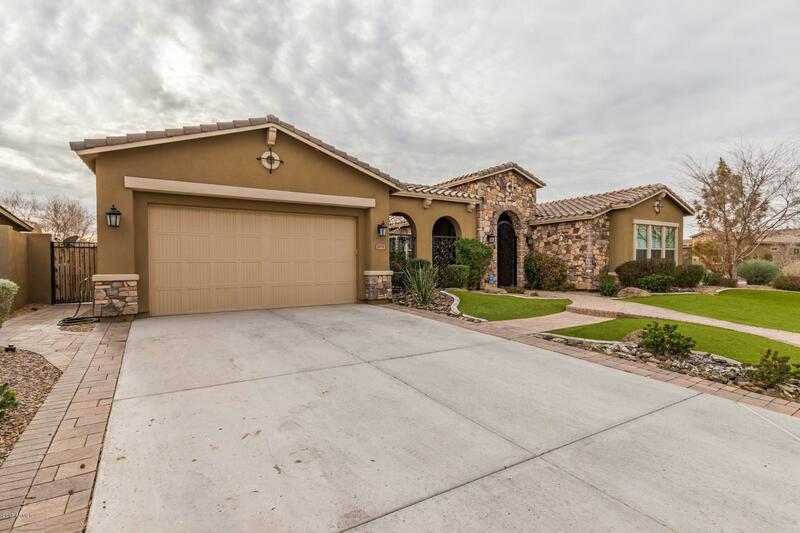 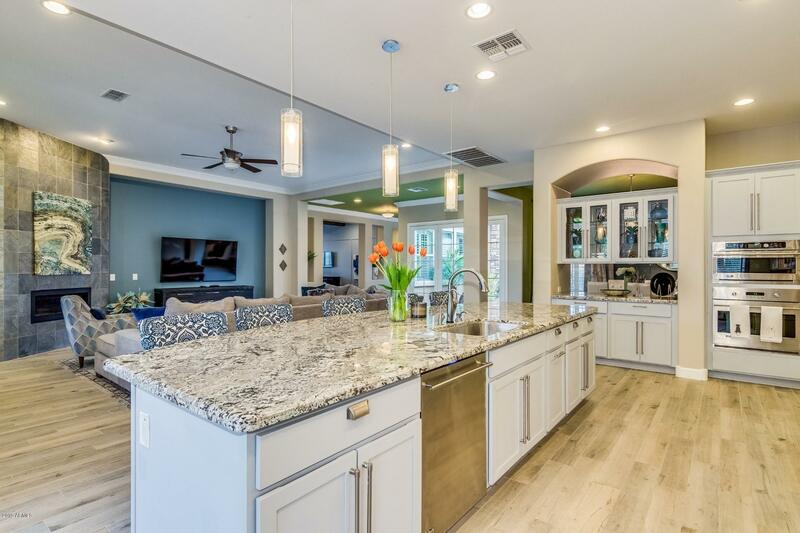 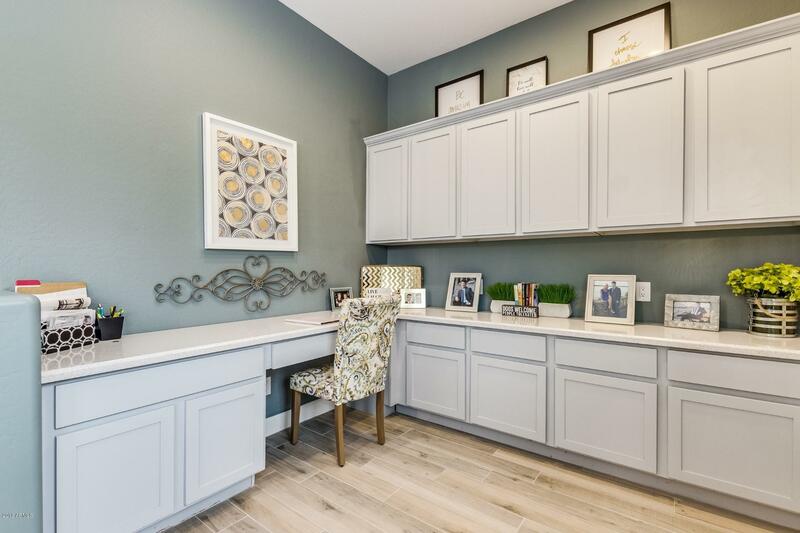 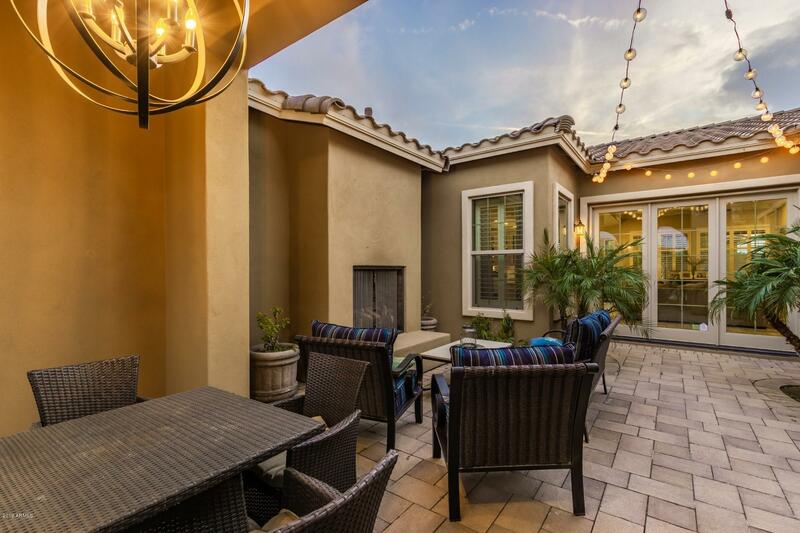 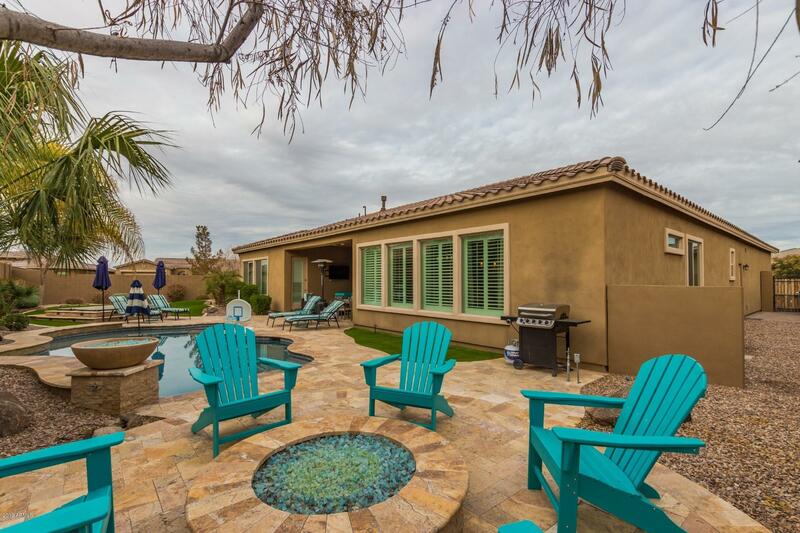 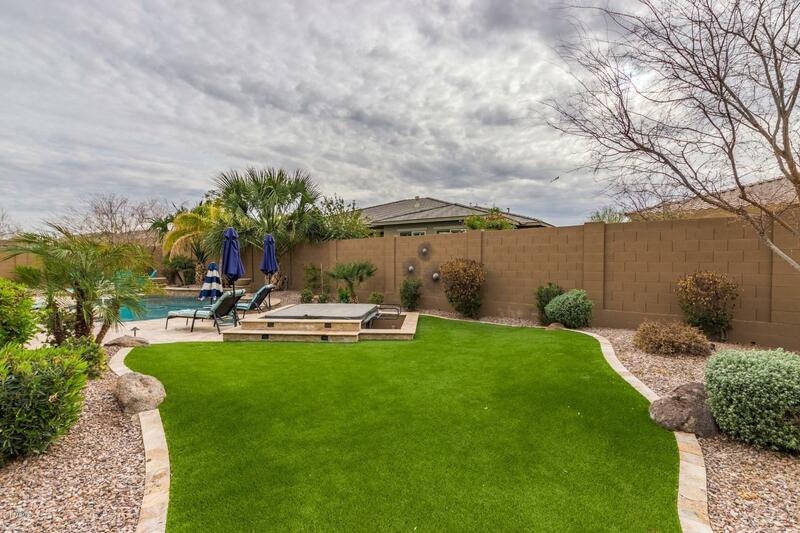 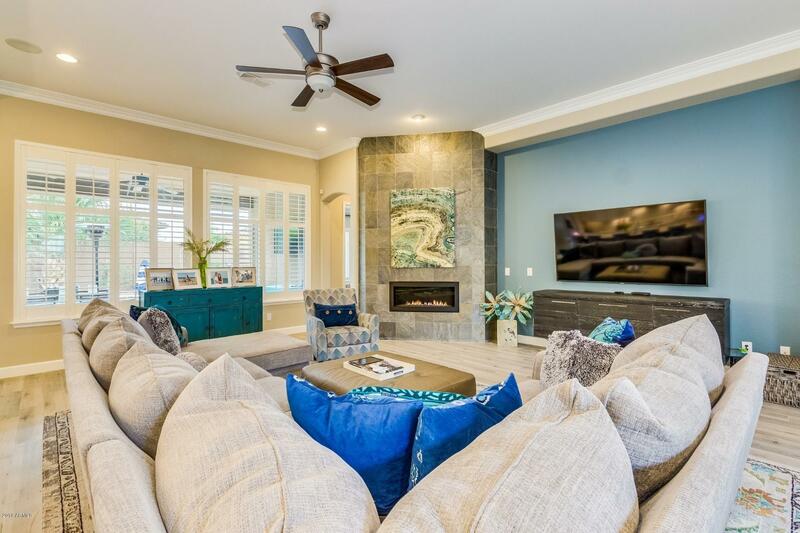 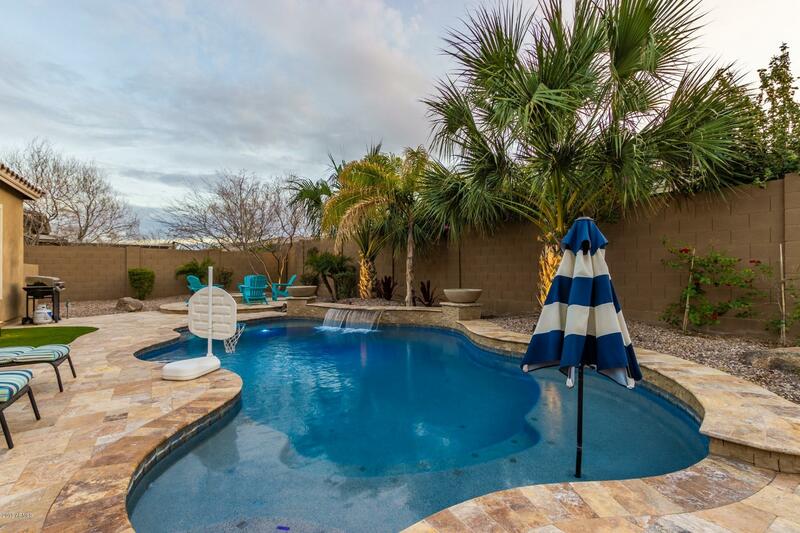 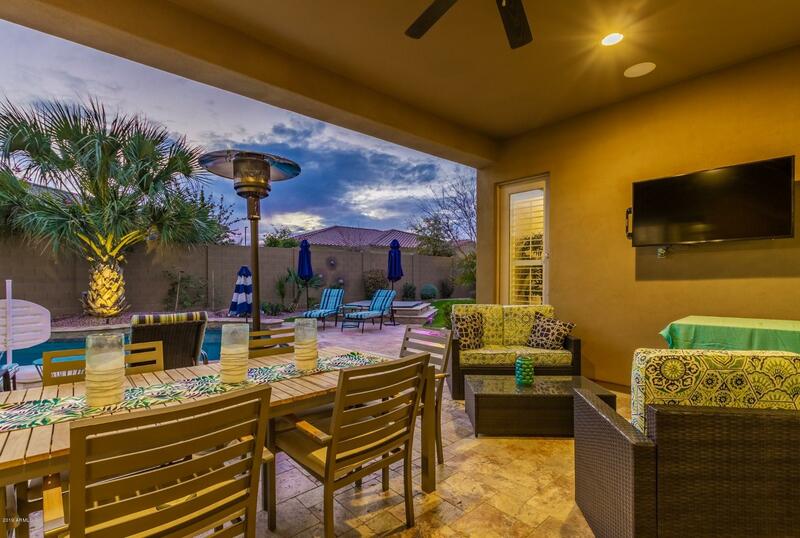 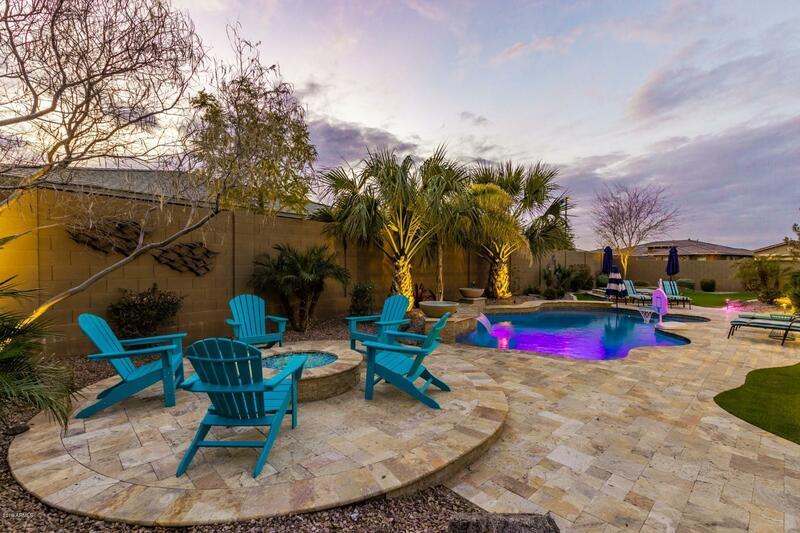 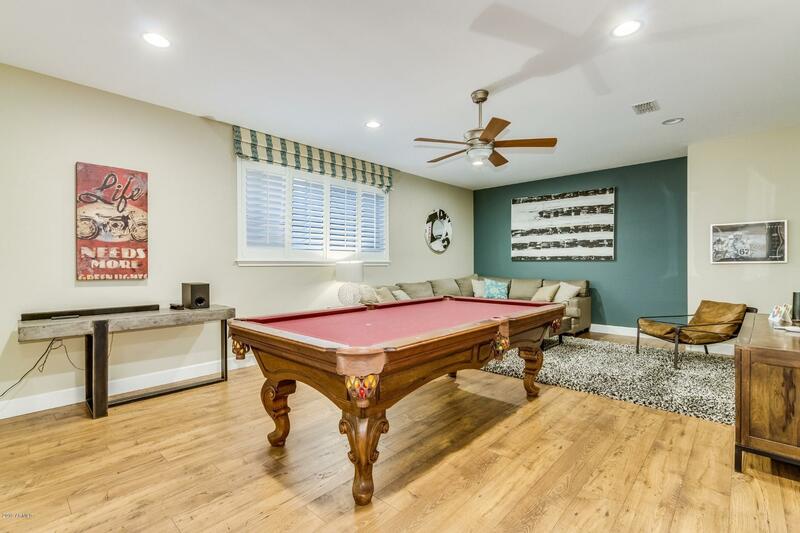 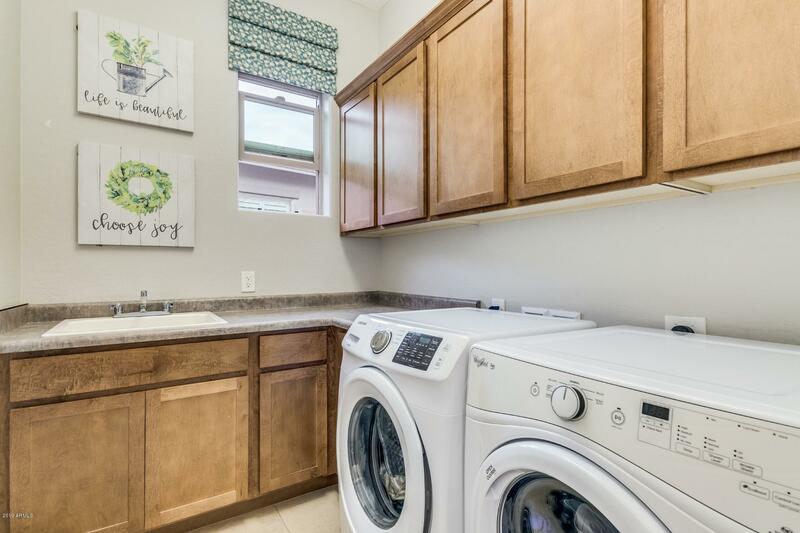 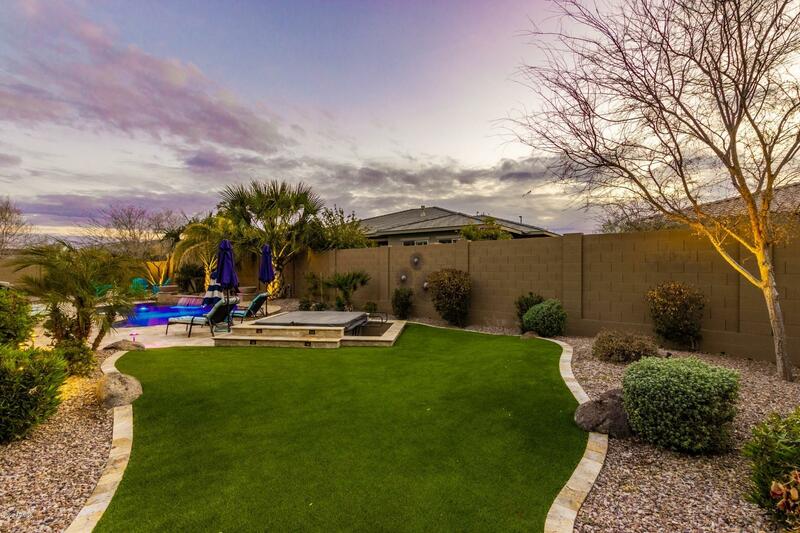 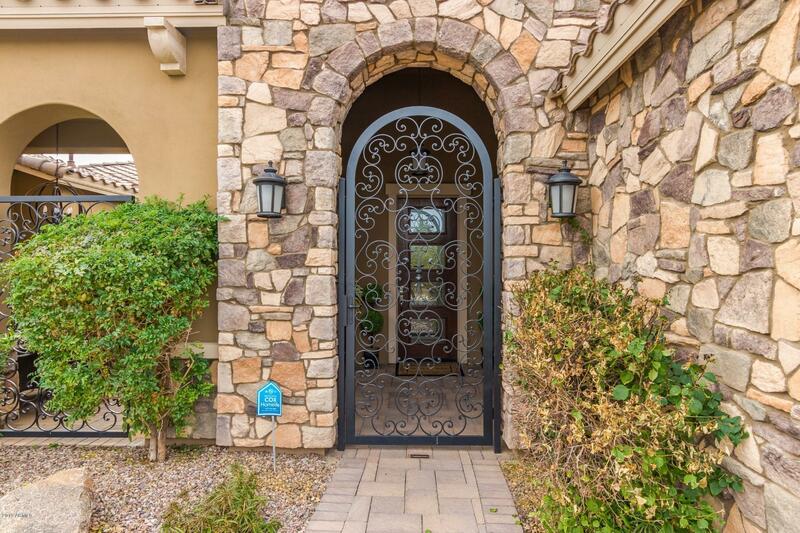 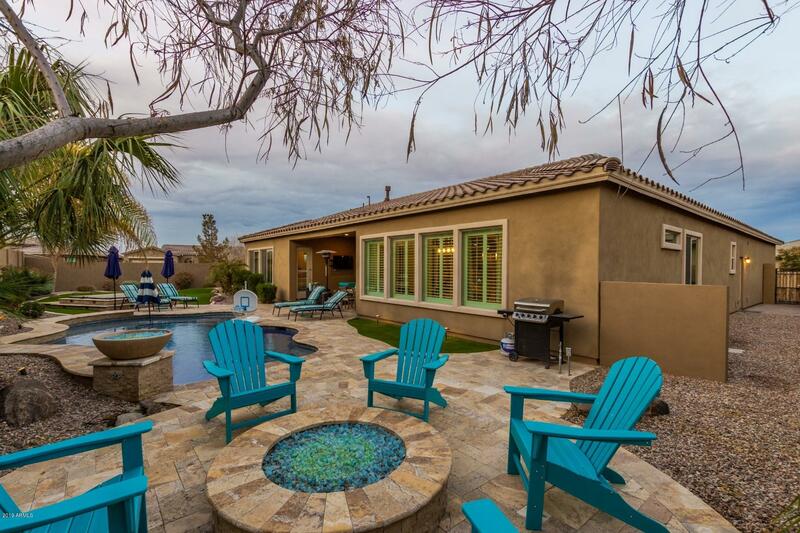 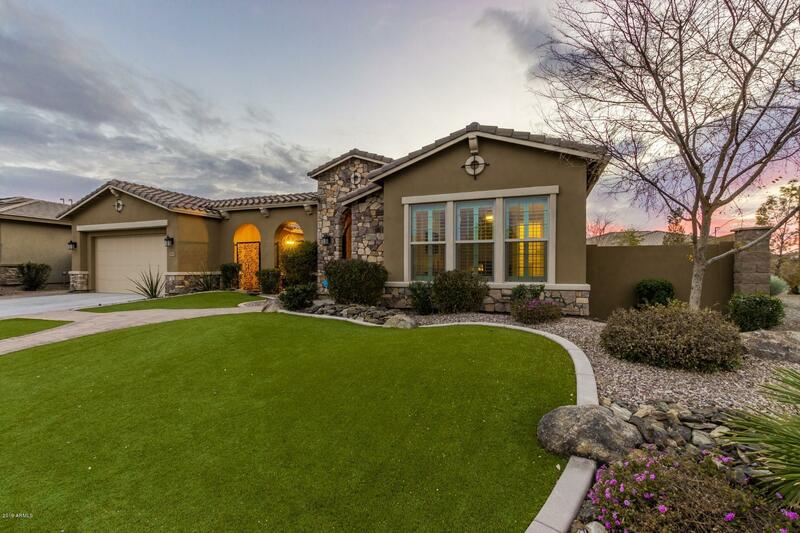 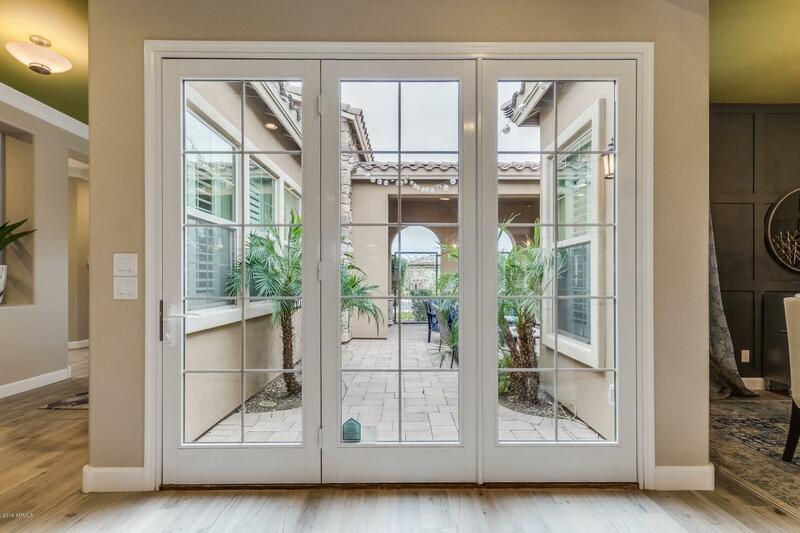 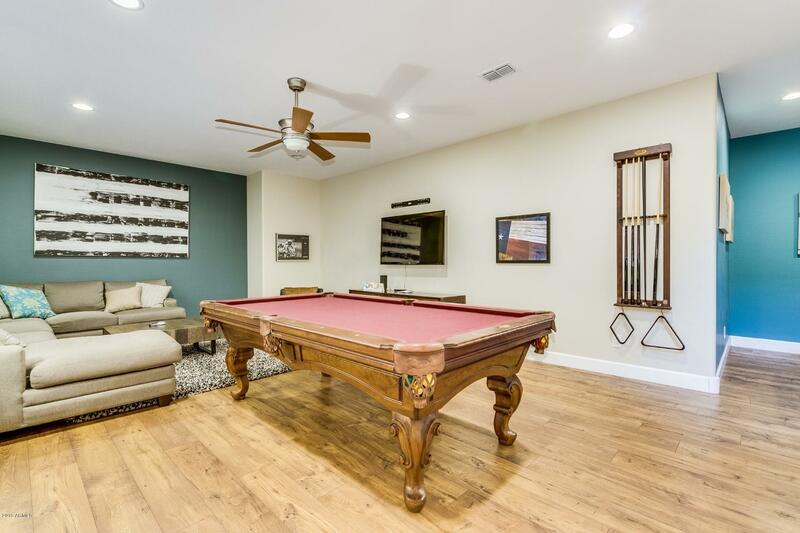 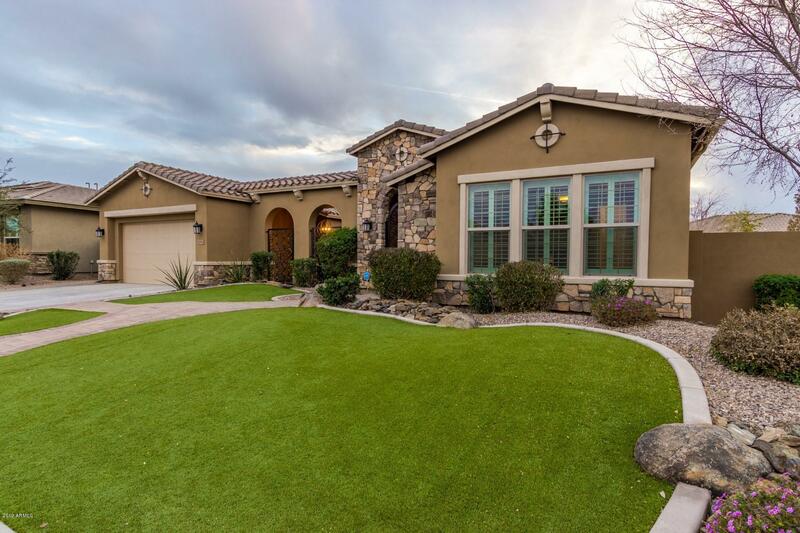 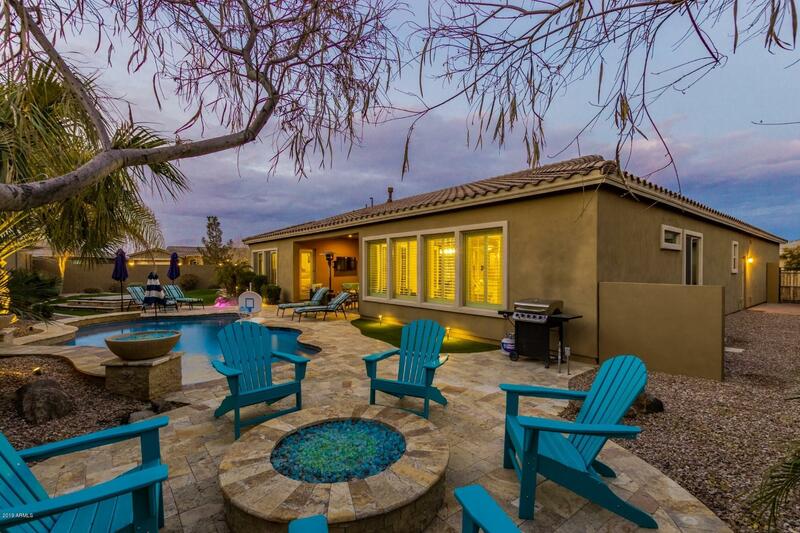 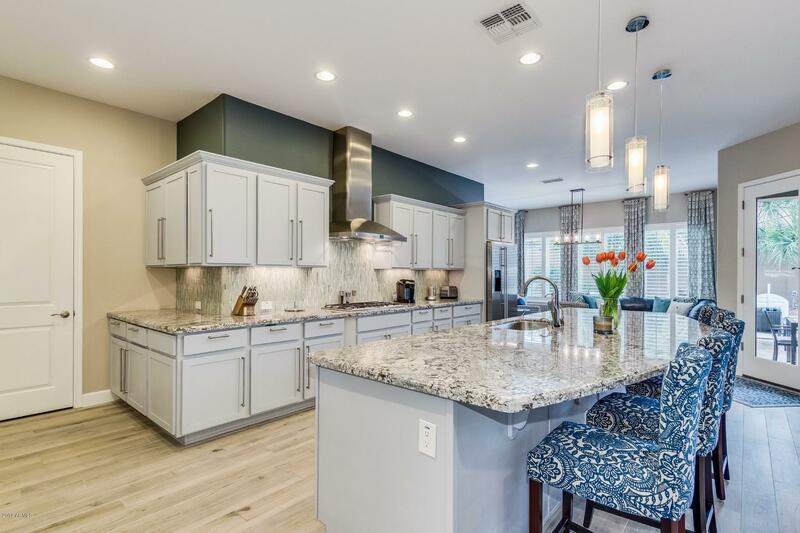 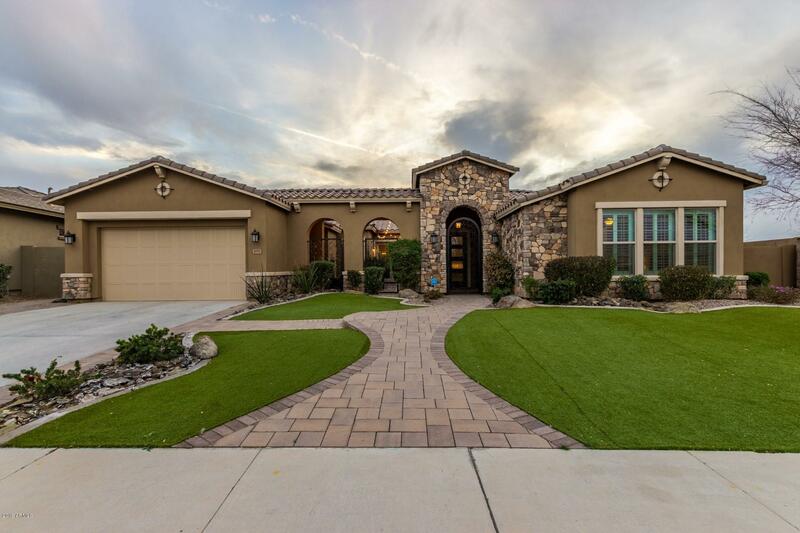 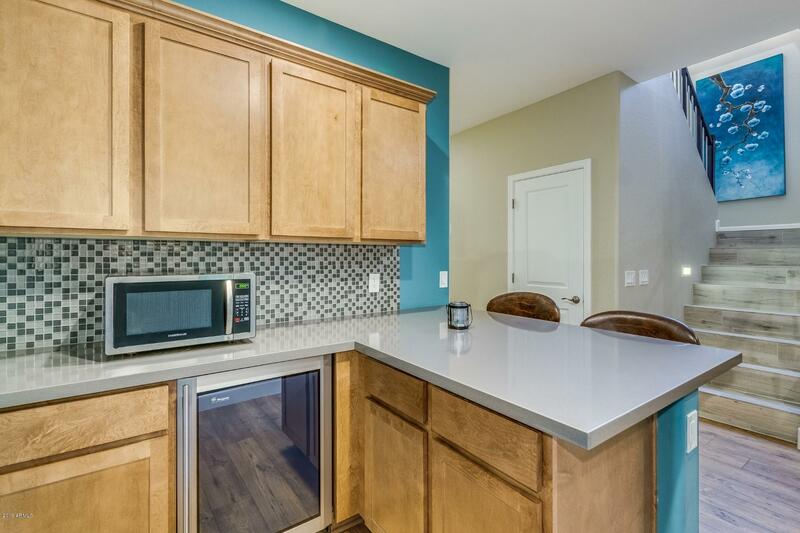 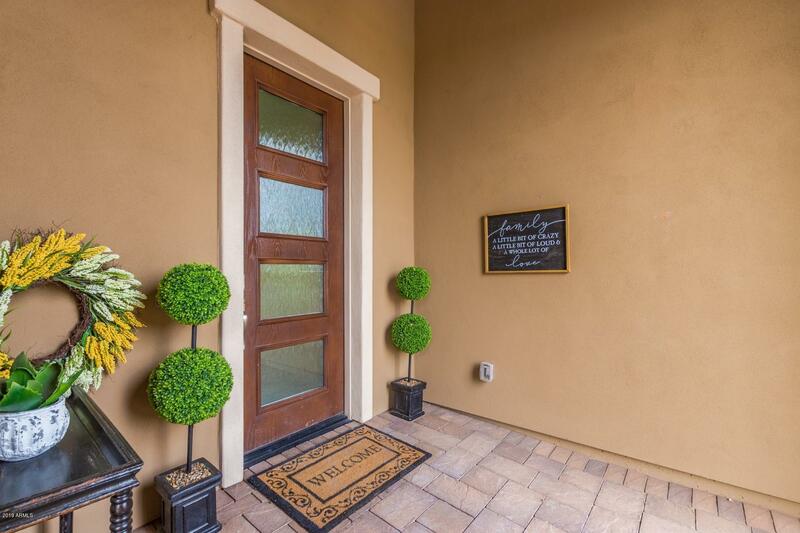 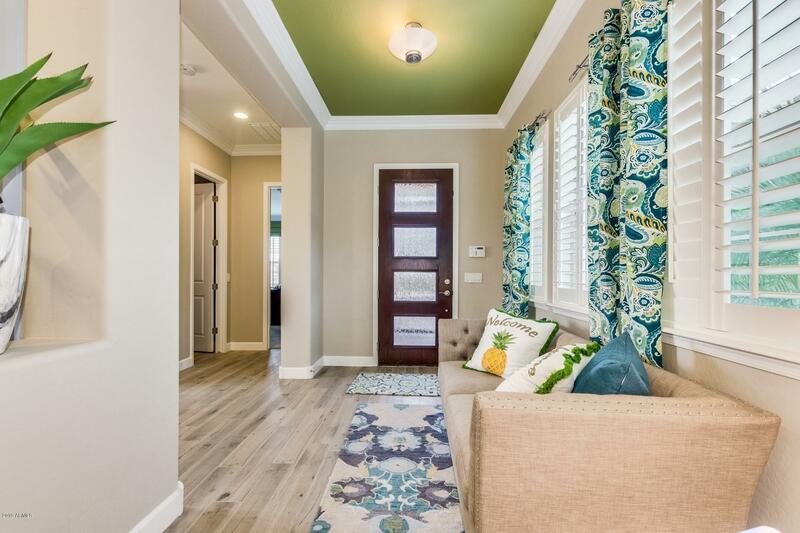 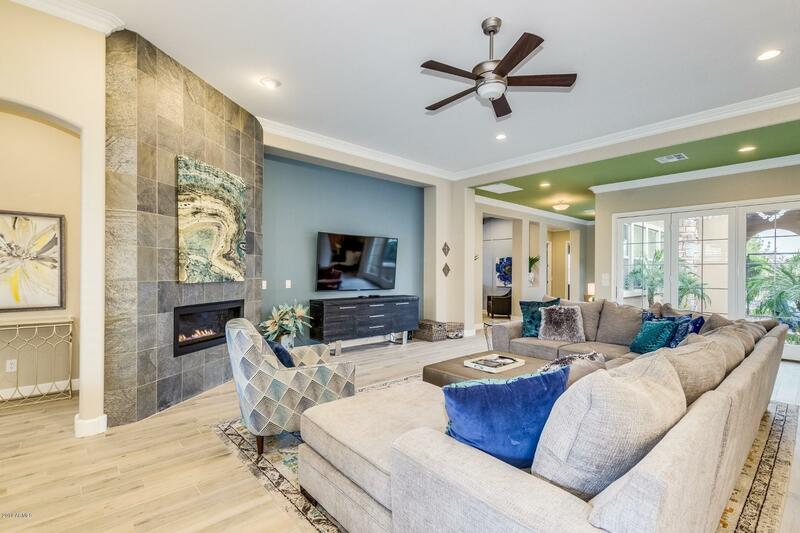 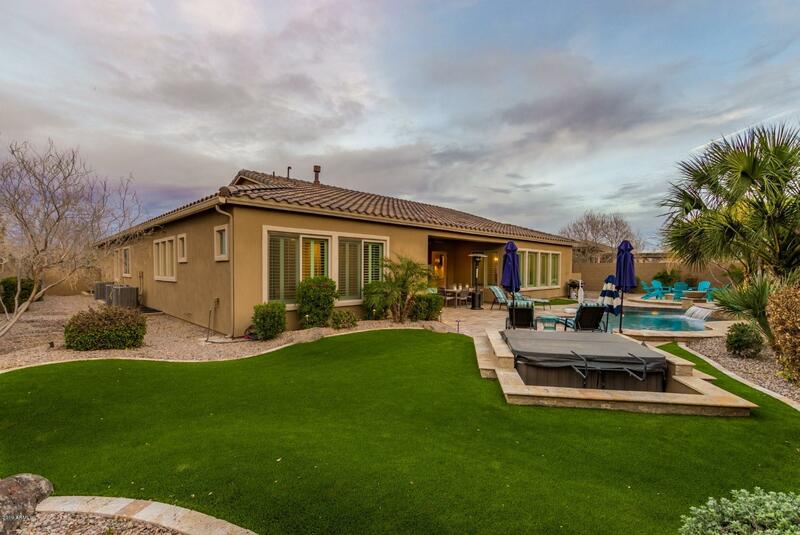 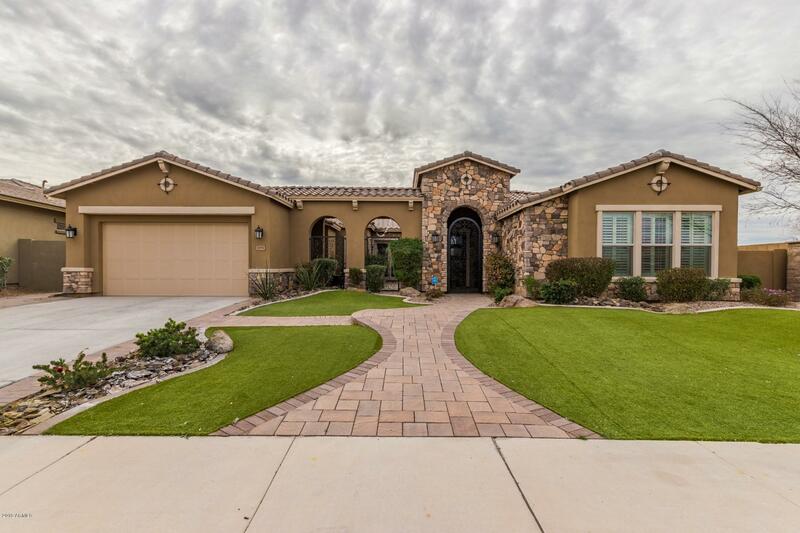 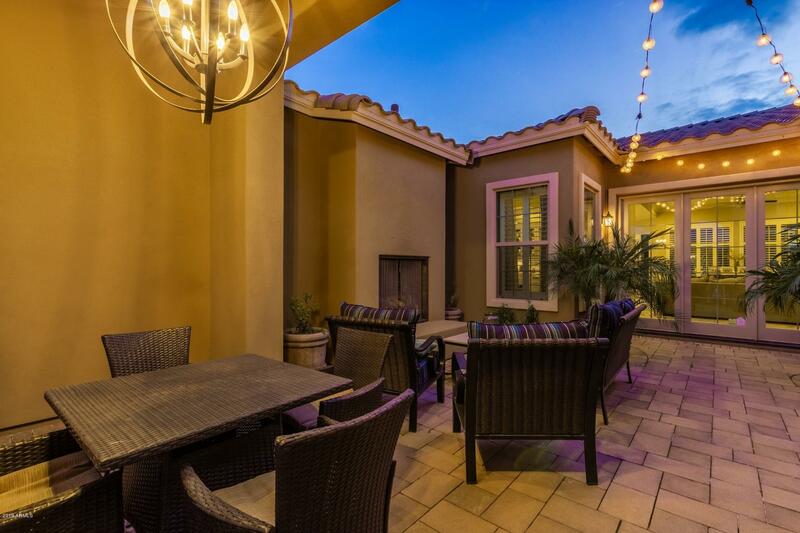 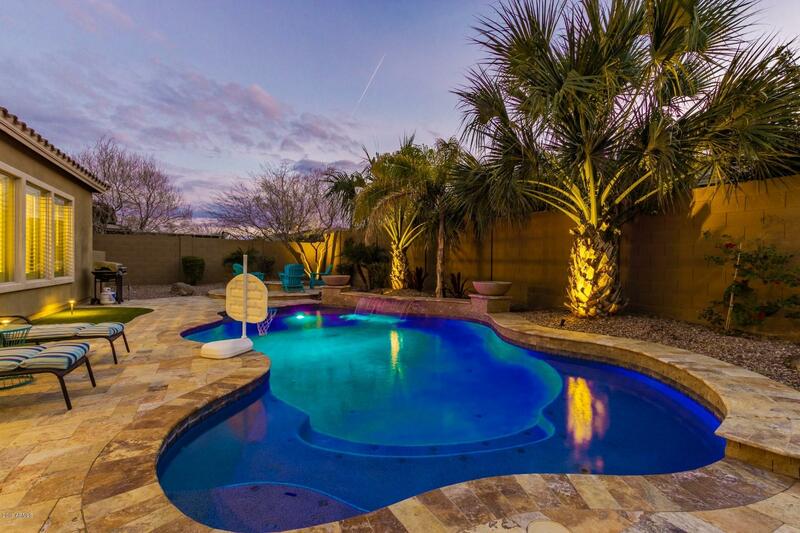 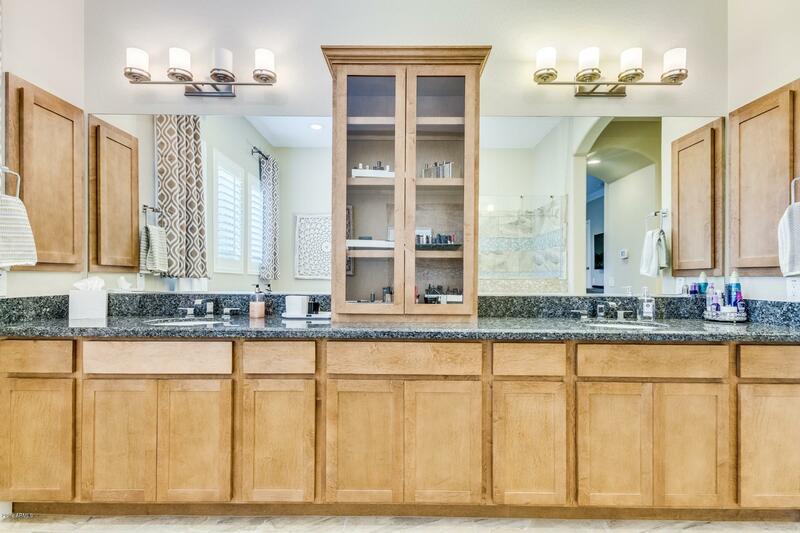 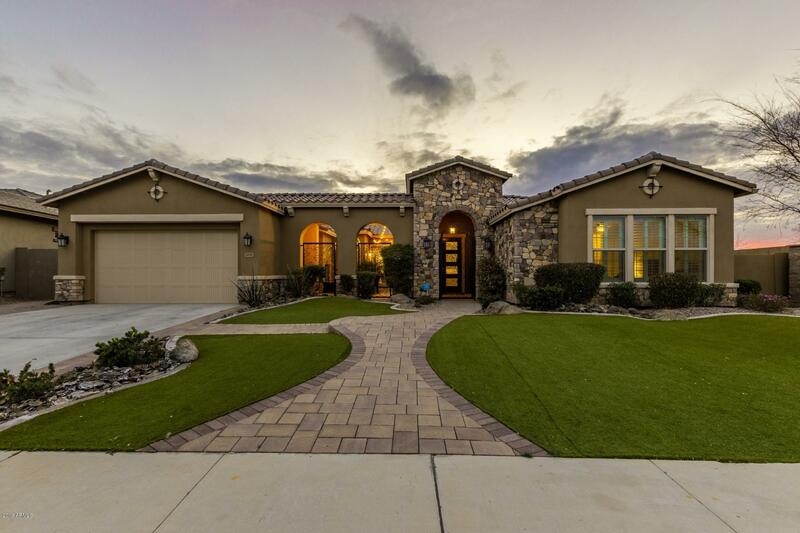 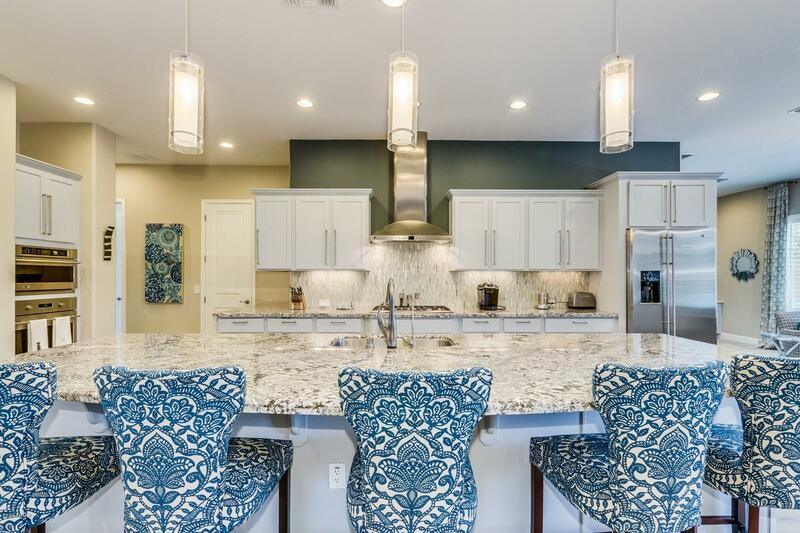 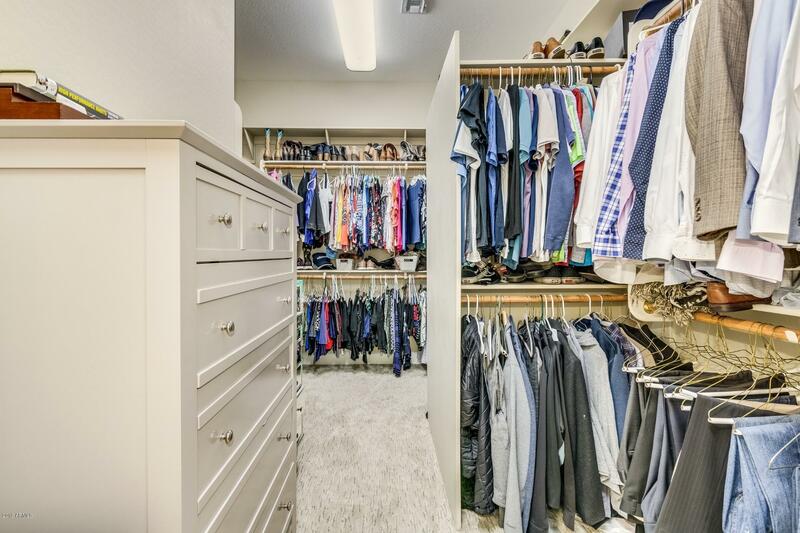 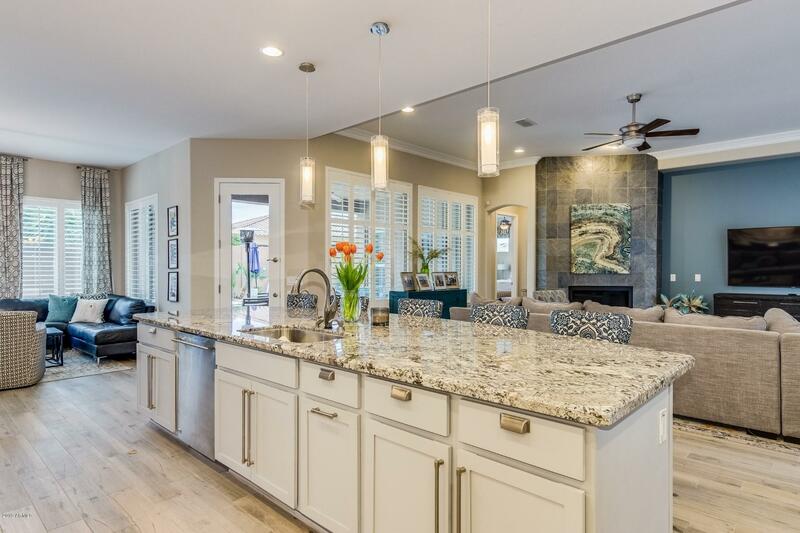 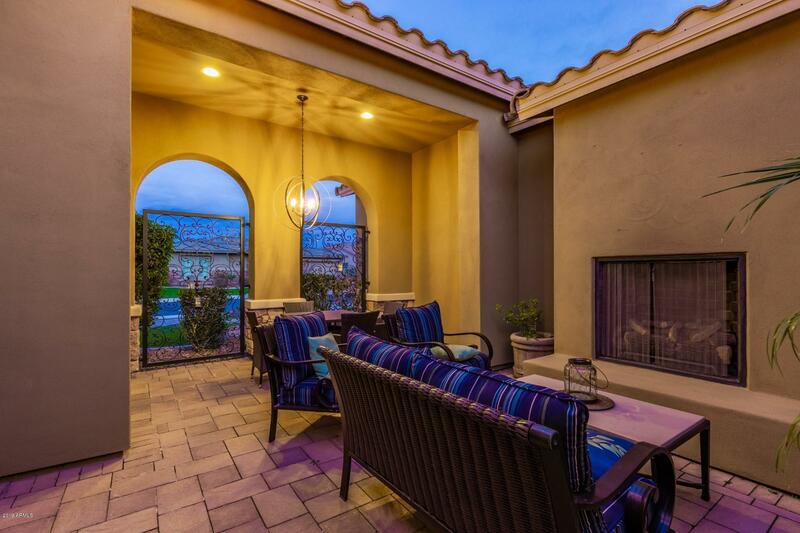 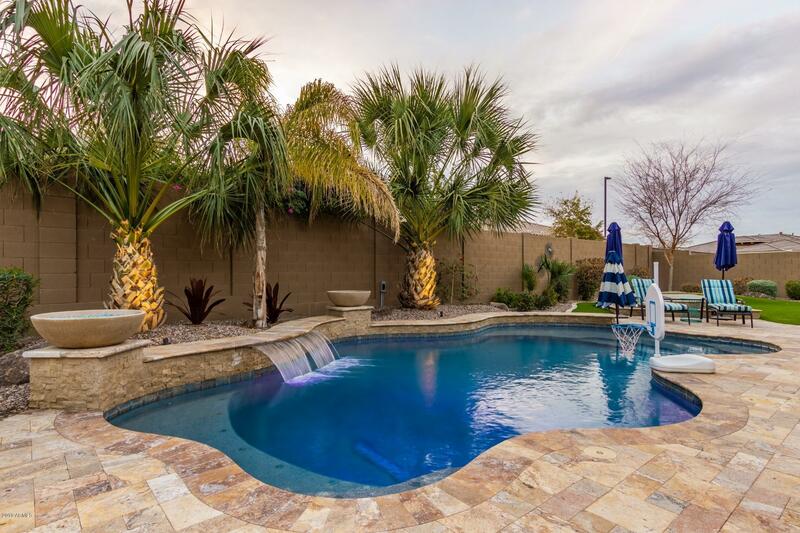 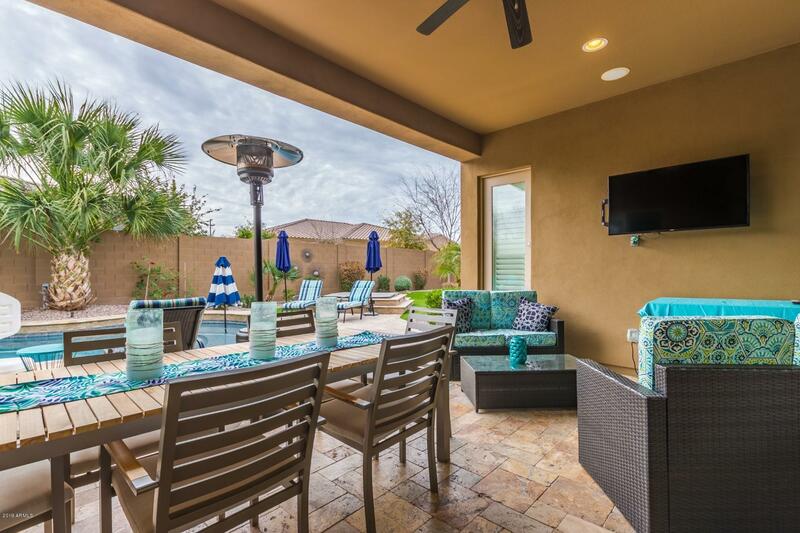 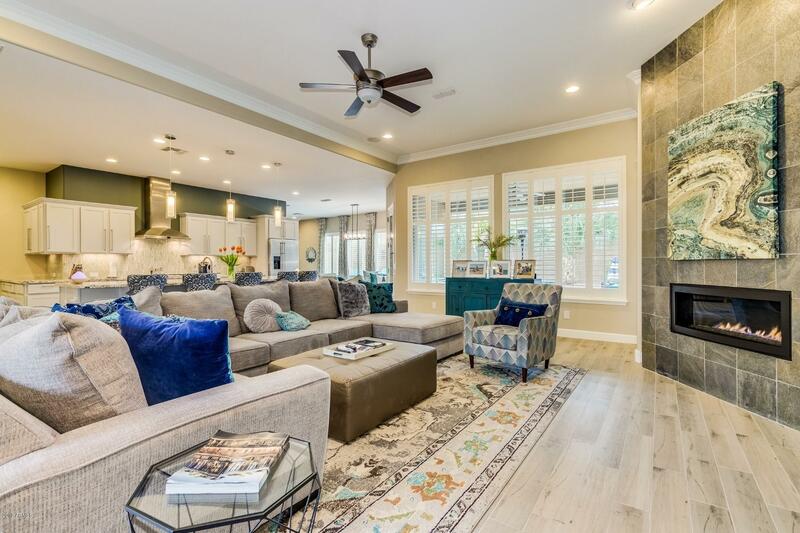 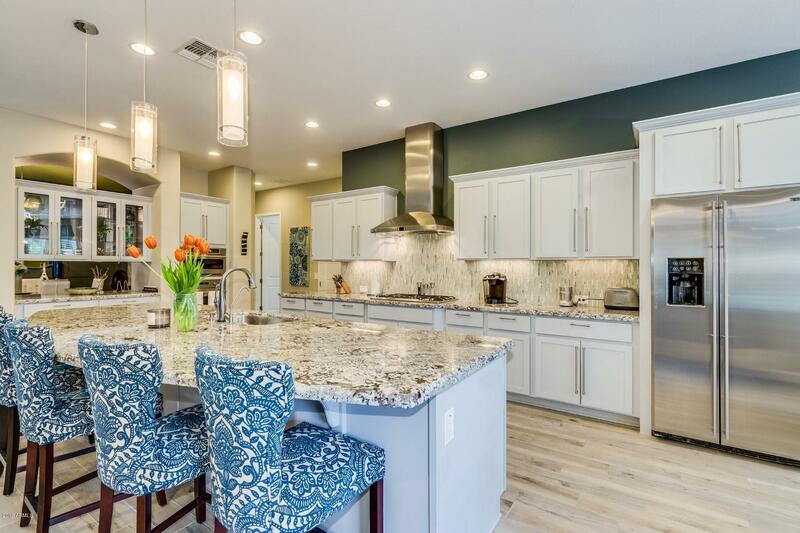 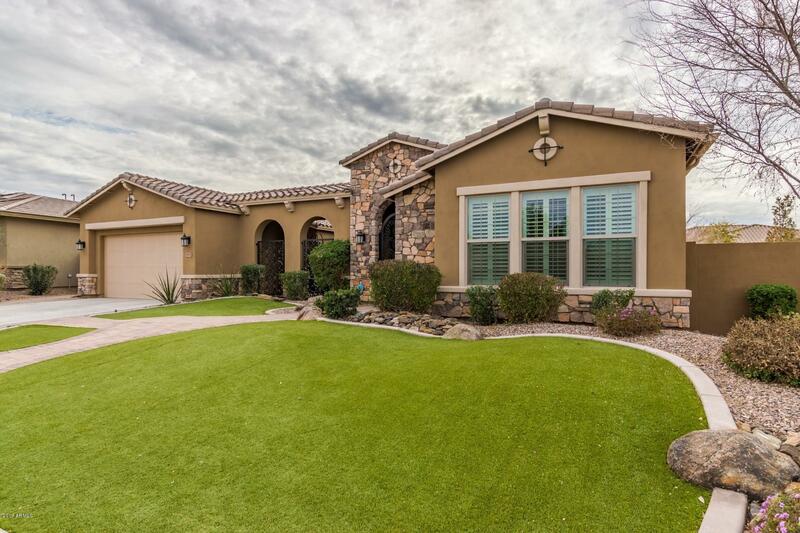 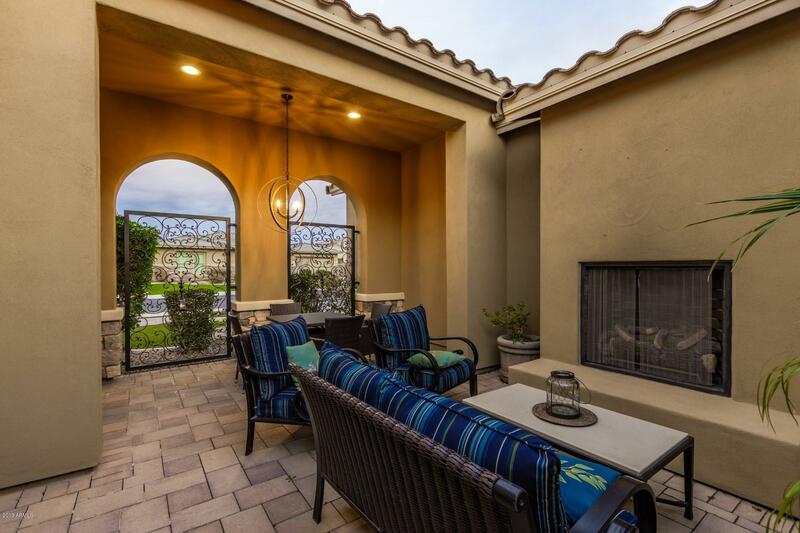 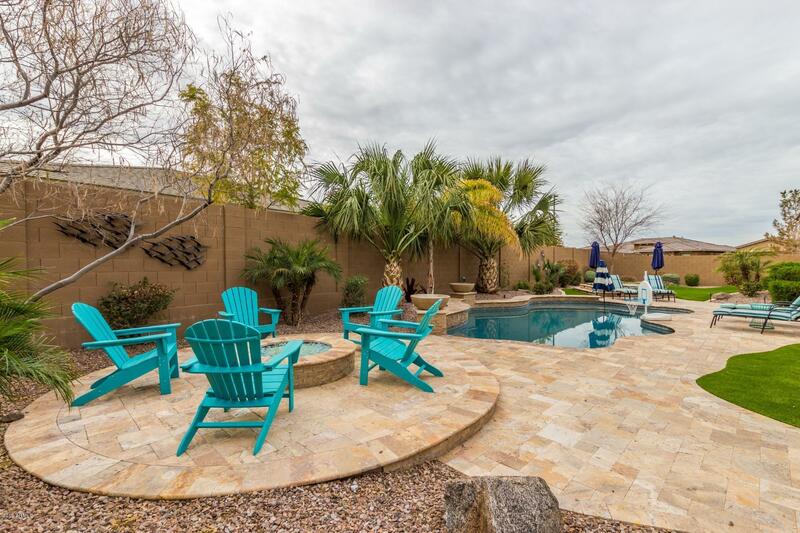 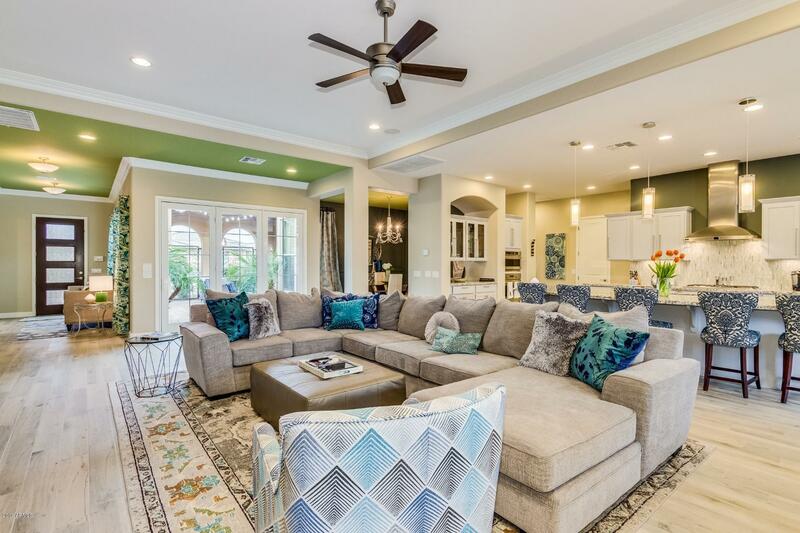 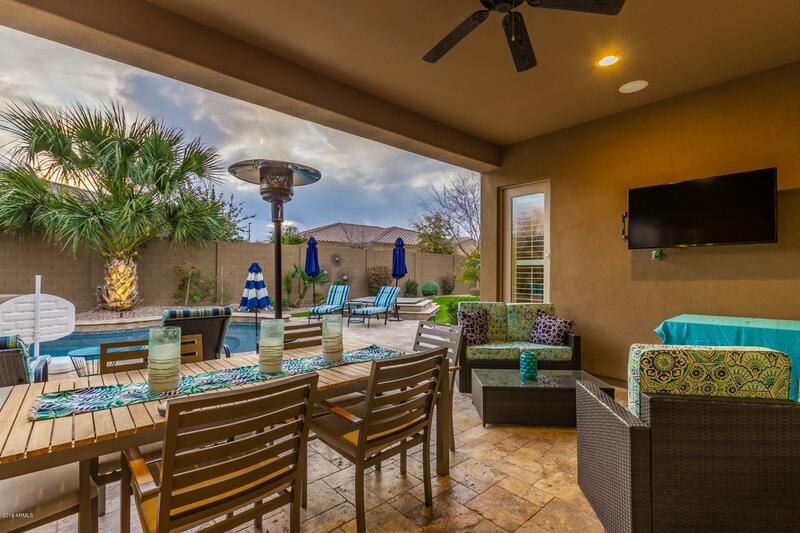 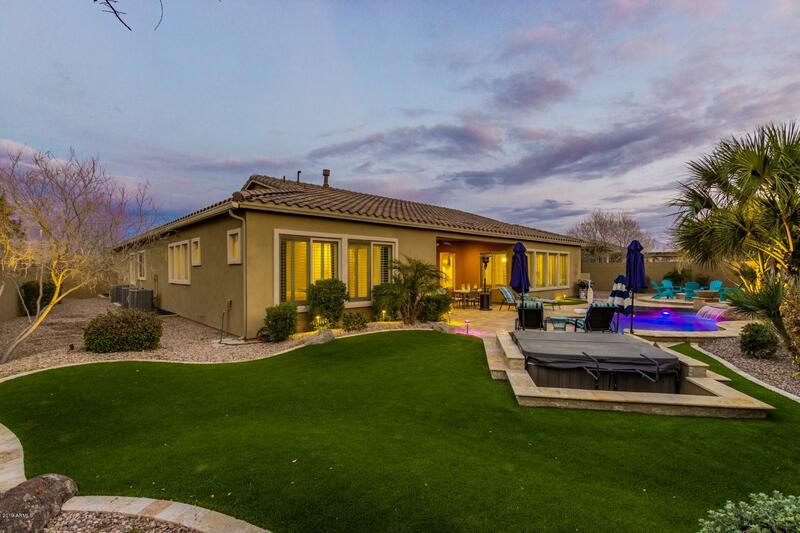 Spectacular David Weekly, former model home, in the award winning ''The Bridges of Gilbert'', has countless upgrades you can only experience by viewing - including $20,000 new flooring and $7,500 epoxy flooring and cabinets in the garage. 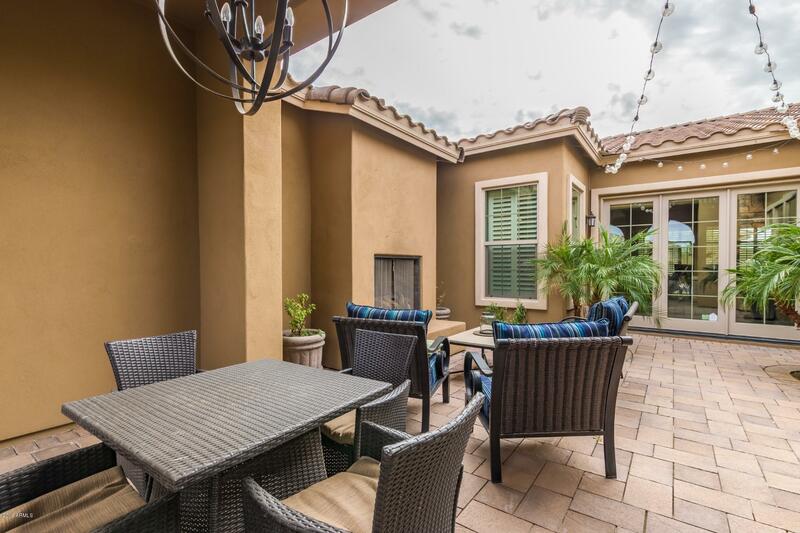 Courtyard with gas fireplace welcomes you as you enter. 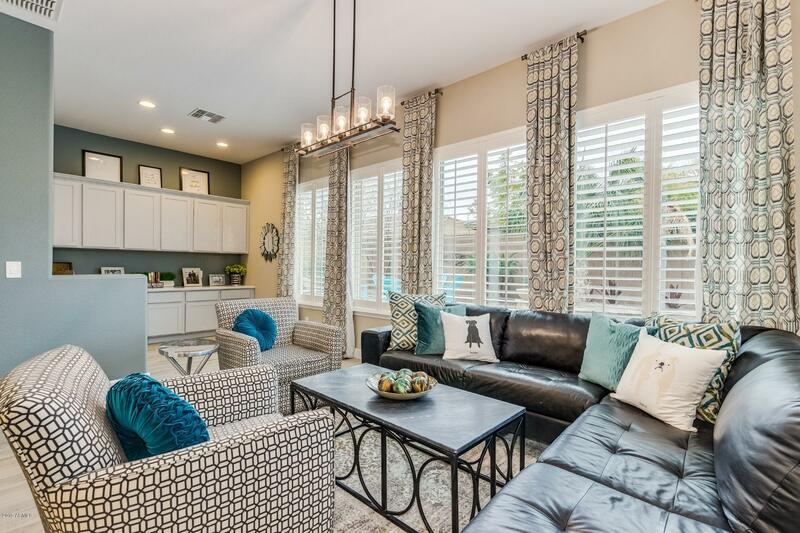 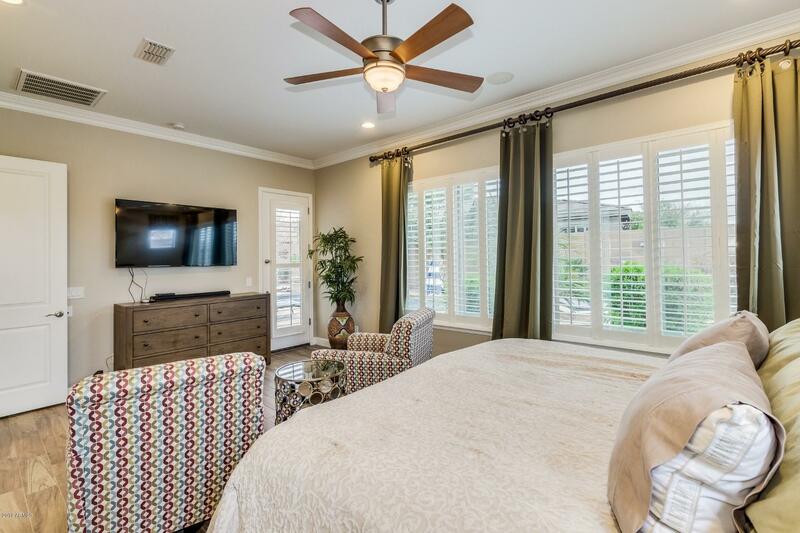 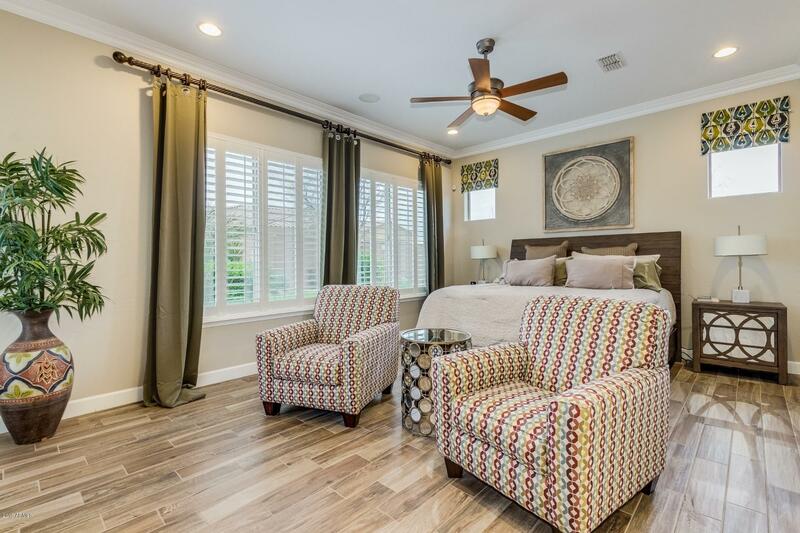 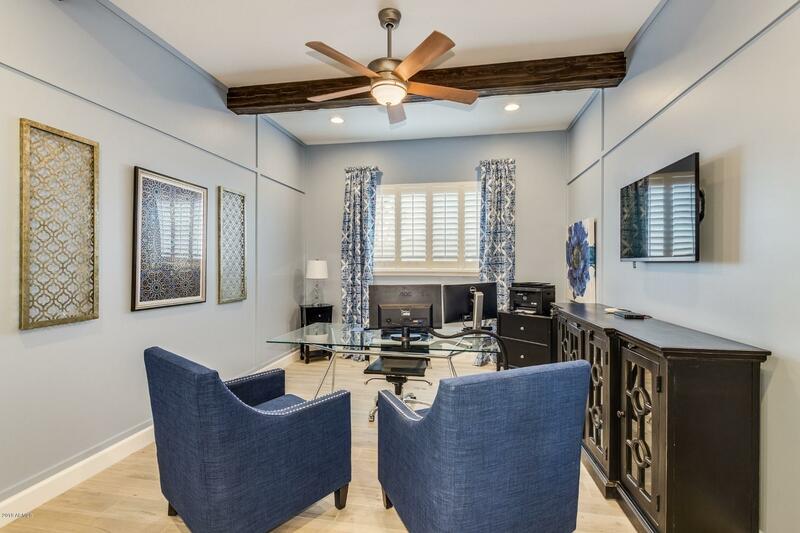 Soaring 12 foot ceilings, exposed beams, crown molding, and a soft color scheme will delight your senses. 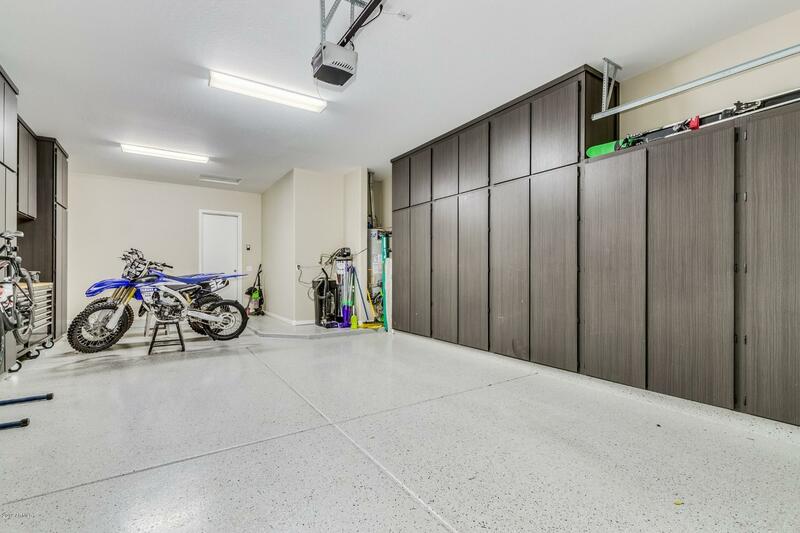 Large open concept living room with gas fireplace, new grey wood tile floors, kitchen with stainless steel, high quality appliances, but there is more. 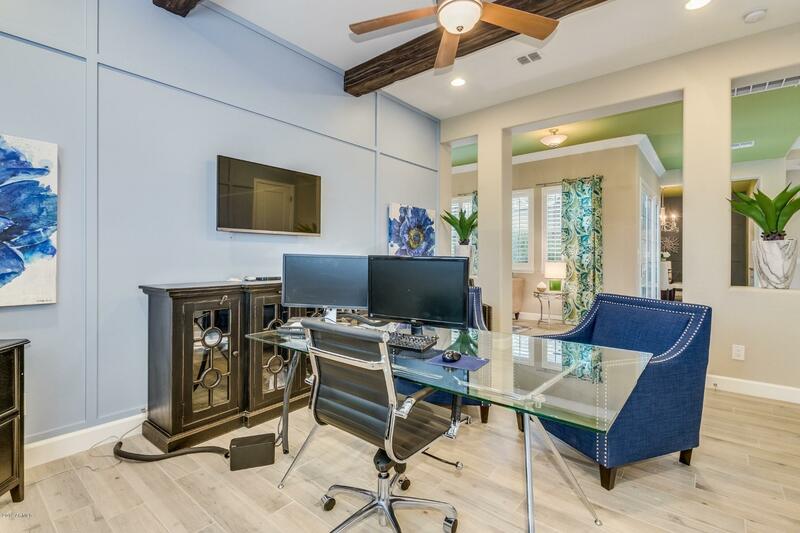 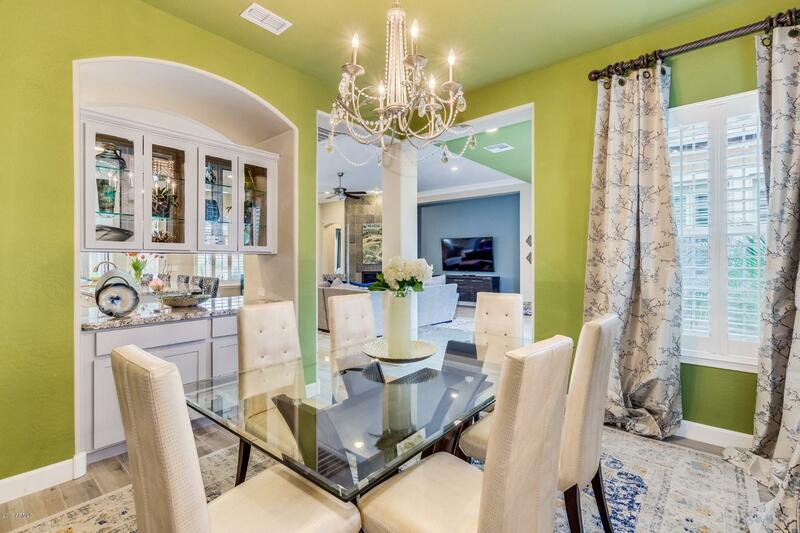 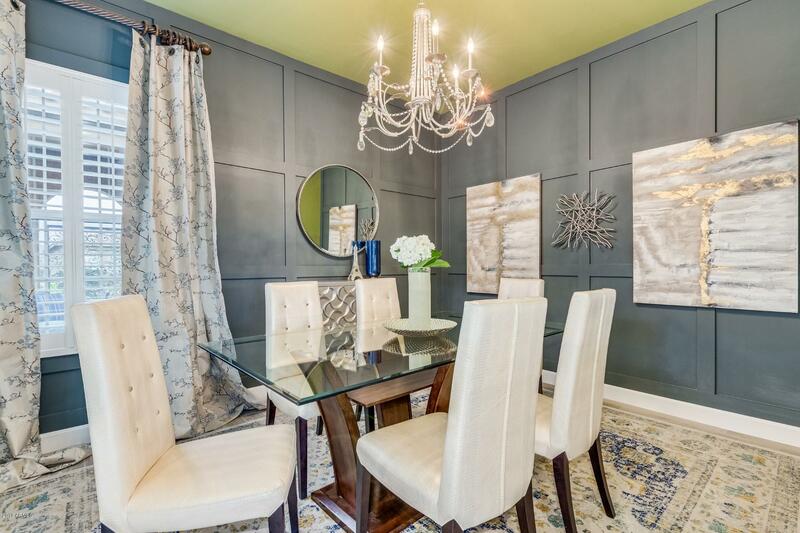 Formal dining room, casual sitting area off the kitchen, and a spacious home office. 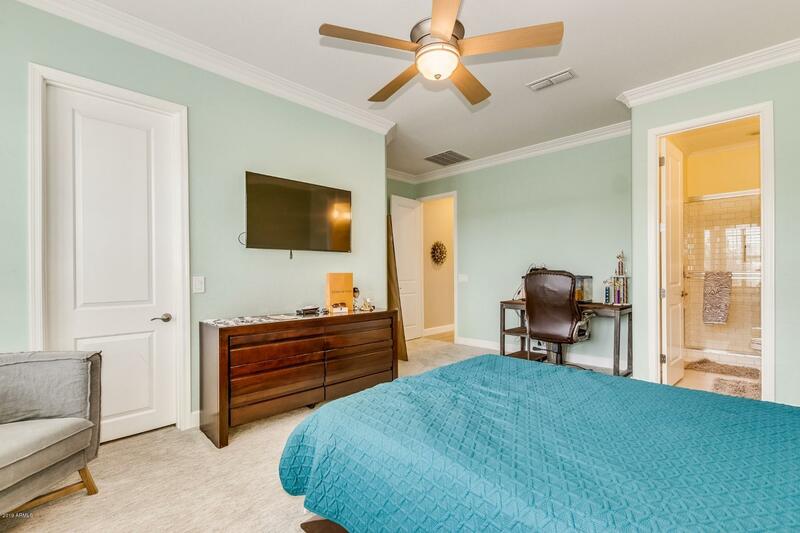 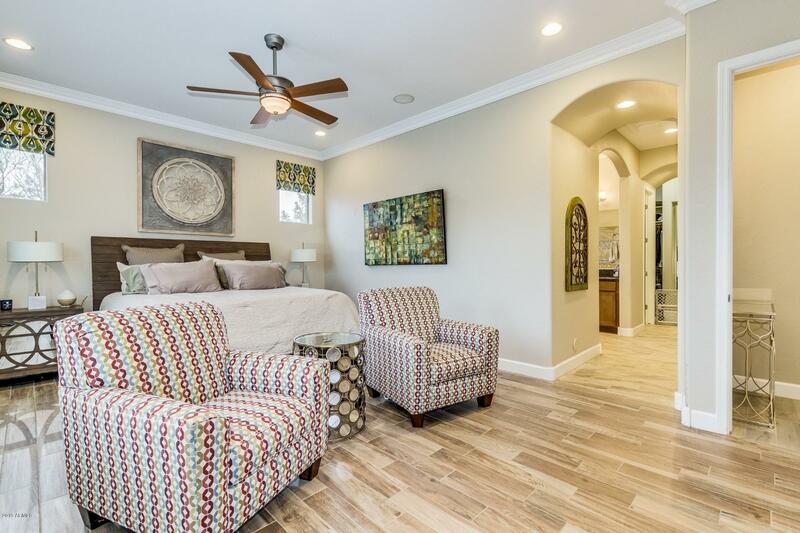 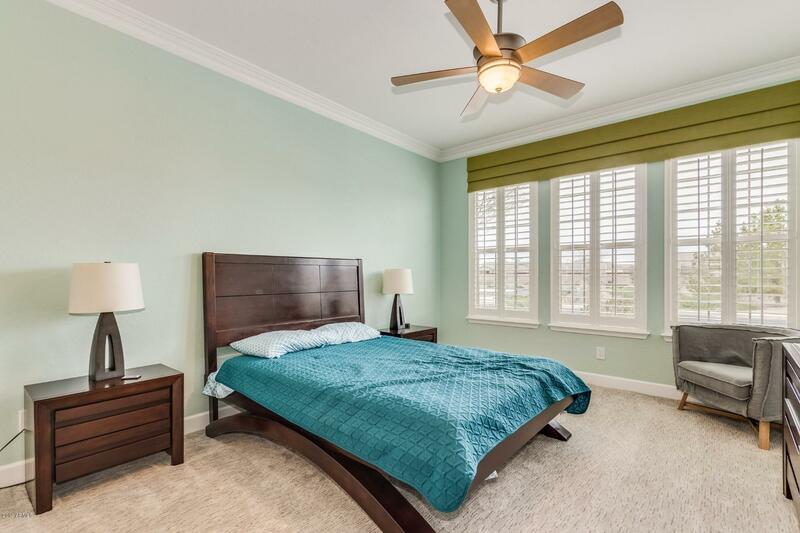 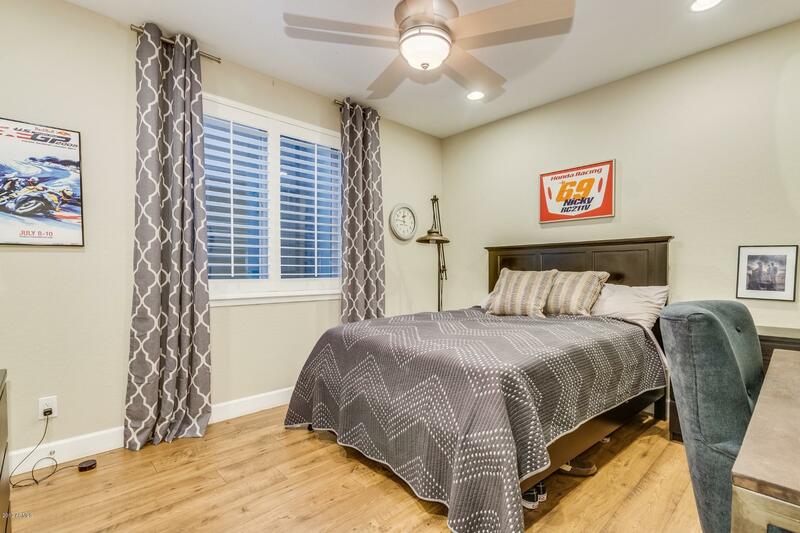 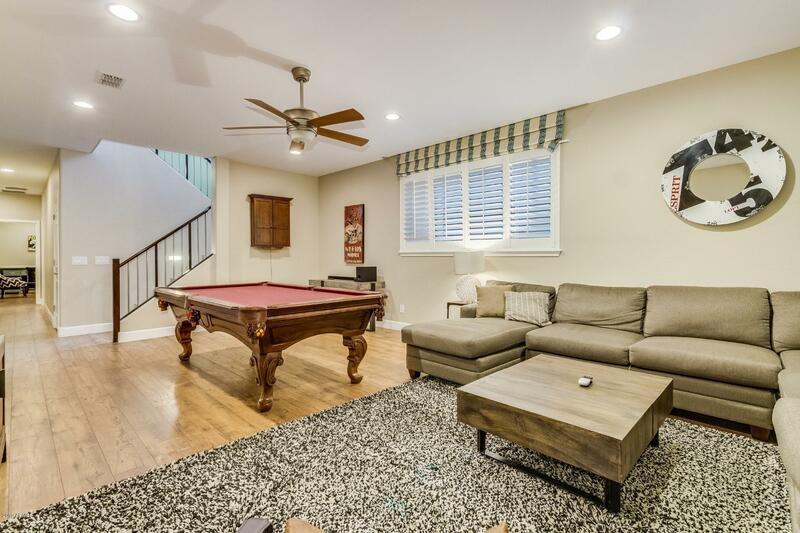 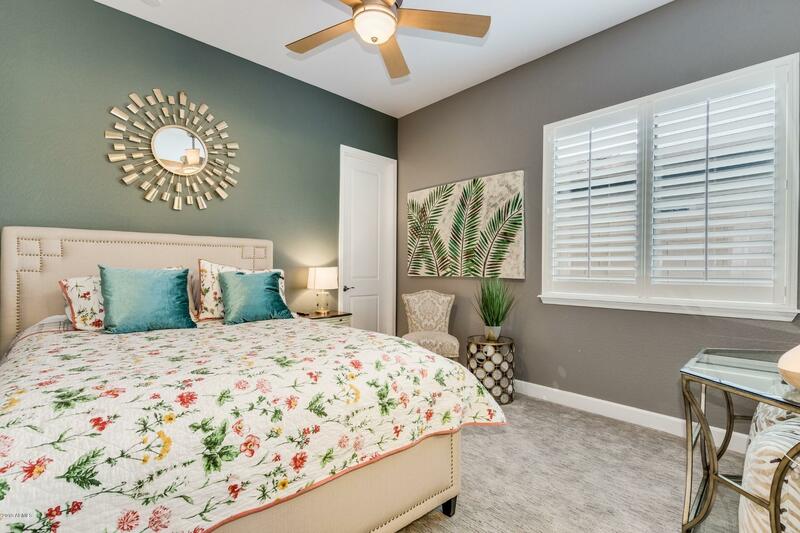 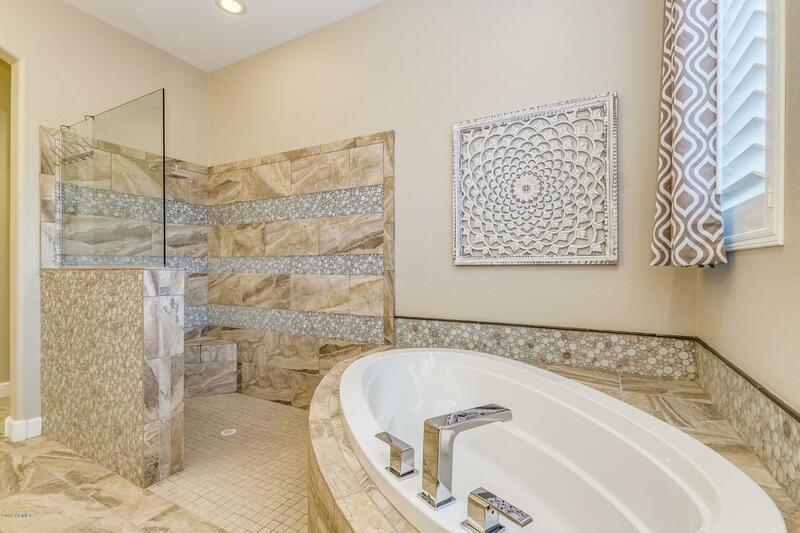 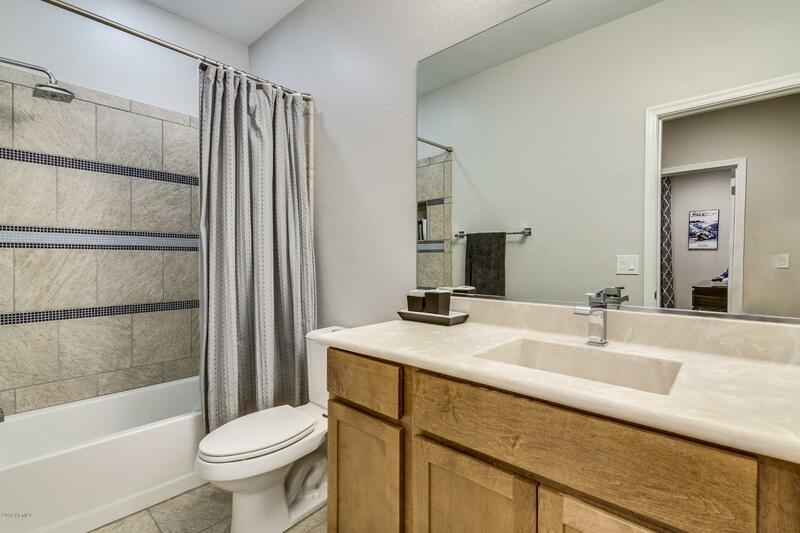 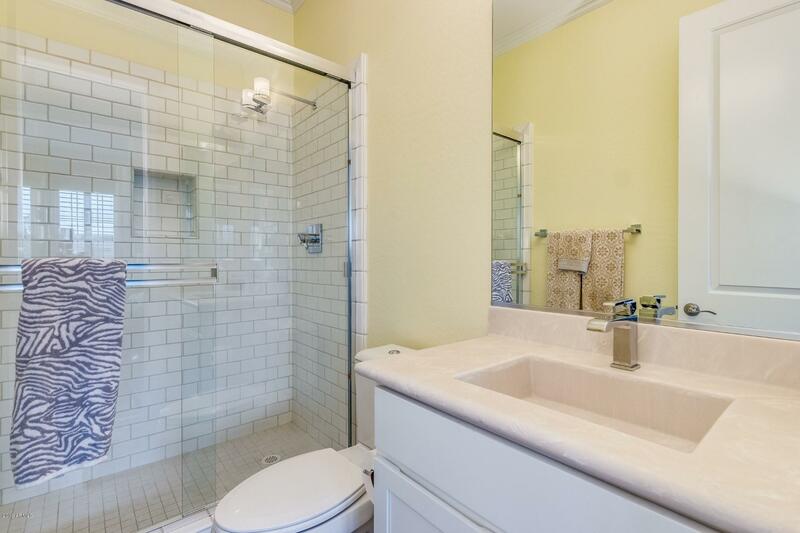 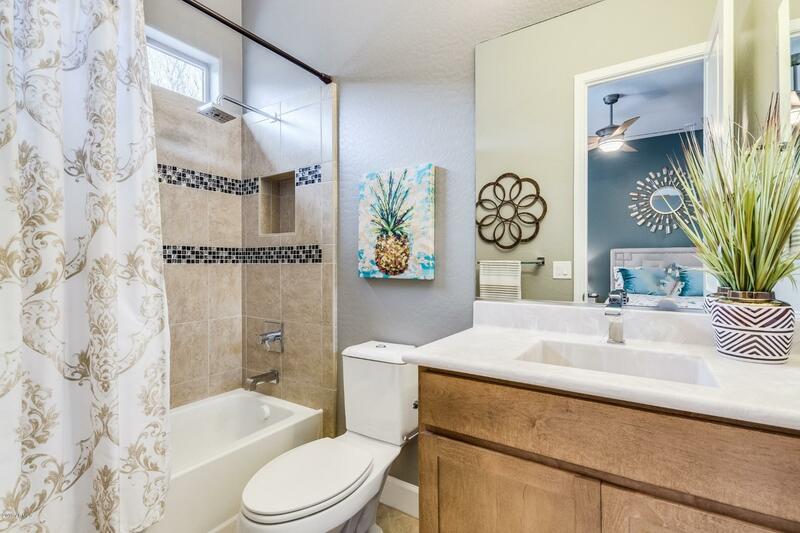 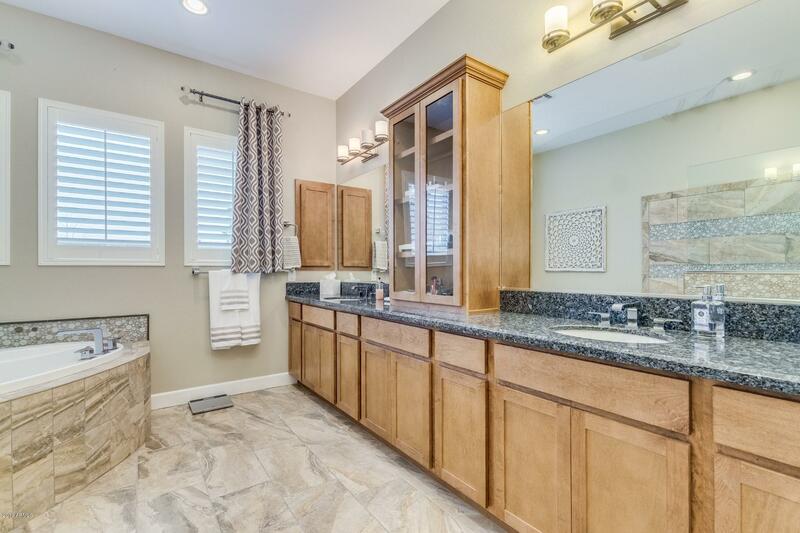 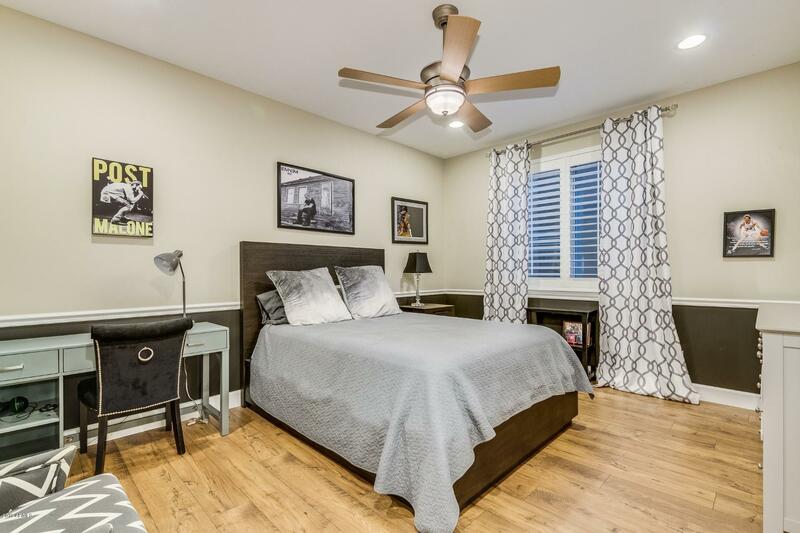 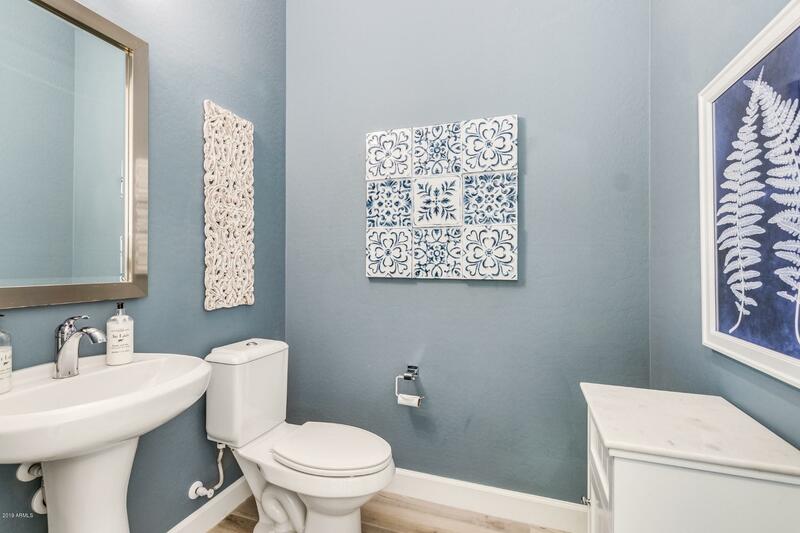 Large main floor master with new wood tile floors, second ensuite jr master on the main floor and additional guest bedroom ensuite and a modern half bath.